Out of the nineteen collaborators brought together by Kean, no less than five are retired air force generals from Belgium, Brazil, Chile, France, and Iran. The book, UFOs: Generals, Pilots, and Government Officials Go On the Record, by experienced journalist Leslie Kean and a long list of distinguished collaborators, should be required reading for all skeptics and people who mistakenly believe that there is no credible evidence supporting the existence of UFOs. Those interested in the subject should also read it, since they will probably learn a lot about important foreign cases from firsthand witnesses and officials and scientists who investigated them. 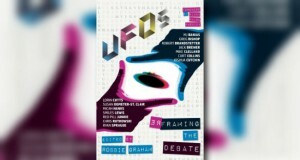 This is indeed a unique and much-needed contribution to ufological literature. Out of the nineteen collaborators brought together by Kean, no less than five are retired air force generals from Belgium, Brazil, Chile, France, and Iran. 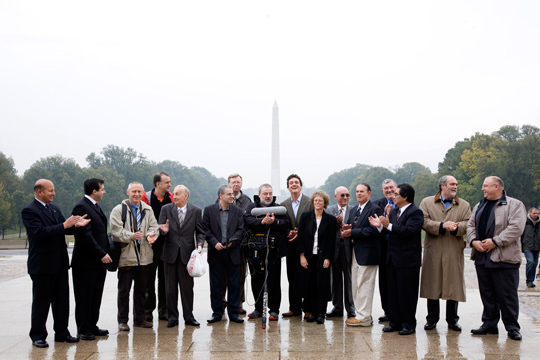 The other fourteen include former Arizona governor Fife Symington; military and civilian pilots from various countries who encountered strange craft; and official government investigators who dealt in one way or another with UFO investigations, such as Nick Pope, a former employee of the British Ministry of Defence, James Callahan from the Federal Aviation Administration, and Jean-Jacques Velasco, from the French space agency UFO department, GEPAN (now called GEIPAN). We here at Open Minds sincerely hope that the largest number of scientists, academics, mainstream-media commentators, and other influential people get a chance to read Kean’s book. It will surely dispel many beliefs and prejudices that people probably have about this subject. 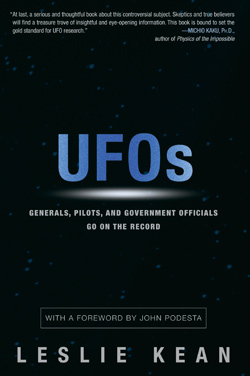 Where else can you open a UFO book and see, not just references and quotes from documents by important generals, but actually short essays written by those generals? General (Ret.) Wilfried De Brouwer, for instance, was once the Belgian Air Force point-man for the famous UFO wave that hit Belgium between 1989 and 1991. In Kean’s book, De Brouwer tells the full story. Additionally, Kean’s book includes commentary by Iranian Air Force General (Ret. ), Parviz Jafari, who was one of the fighter pilots involved in the celebrated UFO dogfight over Tehran in September 1976. 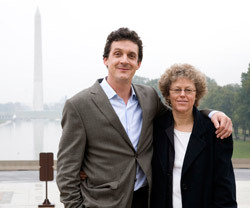 Jafari was also a panelist at the very important 2007 event at the National Press Club (NPC) in Washington, DC, which was organized by Leslie Kean and filmmaker James Fox and would later become the basis of the acclaimed documentary, I Know What I Saw. Most of the contributors in Kean’s book attended the NPC event, but Kean also includes others who didn’t speak. 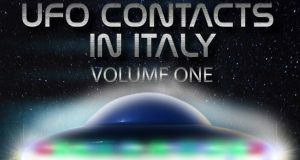 The bulk of the UFO cases and investigations described in the book deal with aviation and military incidents from a total of nine countries including Belgium, Brazil, Chile, France, Iran, Peru, Portugal, the United Kingdom, and the U.S. The other retired generals included in the book are Denis Letty from France, Ricardo Bermúdez from Chile, and José Carlos Pereira from Brazil. A former fighter pilot and head of the southeast zone of the French Air Defence, General Letty was the chairman of the Committee for In-Depth Studies, composed of a number of retired French military and intelligence officers, space officials, and scientists who released the now famous 1991 COMETA Report entitled, “UFOs and Defense: What Should We Prepare For?” It was this French study, in fact, that triggered Kean’s interest and curiosity on the subject, leading to her first UFO article featured in the Boston Globe. General Letty writes, in Kean’s book, about “The Birth of COMETA in France,” explaining that his interest was sparked in 1965 when he heard of fighter pilots scrambling to chase unknown objects over French skies. He was particularly puzzled by the case of Captain Jean-Pierre Fartek, who saw a UFO on the ground with his wife near Dijon, France in 1979. “I found the Farteks’ testimony so disturbing that I have been preoccupied by the UFO problem ever since,” wrote General Letty. In addition to testimony from multiple military officials, Leslie Kean analyzes the different official approaches that various nations have taken over the years. 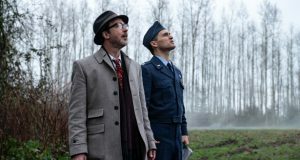 Some countries like the United Kingdom, Brazil, and Uruguay, among others, look at UFOs from a military standpoint—namely, whether these objects could potentially pose a threat to their air defenses. Other countries, such as France, take a scientific approach, conducting a thirty-three-year-long investigation of UFOS through its specialized unit within the CNES—the French equivalent of NASA. Jean-Jacques Velasco, who led this department between 1983 and 2004 (variously called GEPAN, SEPRA, and now GEIPAN) contributed a chapter on these investigations. Velasco was the case investigator of the Trans-en-Provence UFO landing case of January 1981. Yet other official agencies like Chile’s CEFAA (Spanish acronym for Committee for the Study of Anomalous Aerial Phenomena), established in 1998, which is under the Department of Civil Aeronautics (DGAC, equivalent to our FAA), take a different approach, that of keeping a tab on UFOs to insure aviation safety. Will Leslie Kean and her team of experts succeed in helping to create a new, open-minded official U.S. agency that can take a fresh look at this phenomenon and cooperate openly with other governmental investigations elsewhere in the world? That remains to be seen, but the publication of this book is an important first step. I agree that this is an important book advancing the cause (UFO disclosure), and I look forward to reading it. Yet, I fear her new book will change few minds. As long as the UFO phenomenon remains abstract as a topic for intellectual debate, the public will continue to ignore or dismiss the issue. Only when alien visitation affects human affairs in a direct tangible way will the people press for the truth. 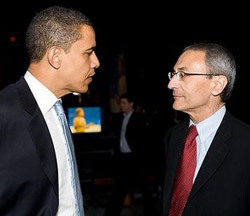 Those in high places who possess and control indisputable physical evidence will never produce it willingly,since they have no incentive to do so- nothing to gain and everything to lose.If ever the issue is decided,it will be done by the aliens themselves making their presence obvious to all. I believe they will do so only if they determine that the survival of the earth as a hospitable planet depends on intervention they cannot conceal. The next fifty years will tell. Discovered your “Open Minds” web page today. 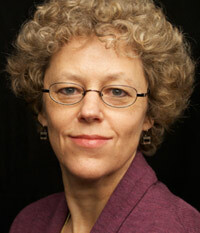 Am anxious to read what Leslie Kean has compiled in her new book. ufo sighting I witnessed in Ontario years ago. I can send you the audio file if you want. I saw the cover and a picture is equal to someones thought. Yahweh bless you. MSNBC’s Dylan Ratigan had Dr Michio Kaku talking UFOs one night, and then Kean discussing the topic the next, which is unheard of. Interesting that this book has captured the media attention that’s normally so hard won. Just got my copy of the book, well done Leslie. I know some of the pilots and generals metion in the book, so I can tell you that what is published “is true”. Captain Rodrigo Bravo (Chilean army pilot who whent to the INTERNATIONAL PRESS CONFERENCE, NATIONAL PRESS CLUB, WASHINGTON D.C. November 12, 2007) will be publishing in October a book about UFO’s/Aeronautical cases.